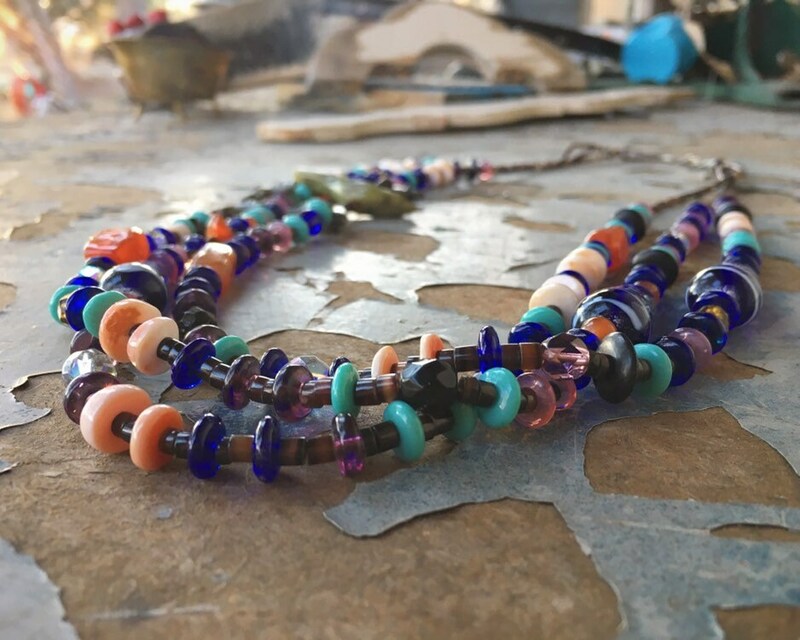 Fabulous glass bead necklace in colors reminiscent of a night sky--dark and iridescent blue with milky orange, turquoise, purple, and green among others. 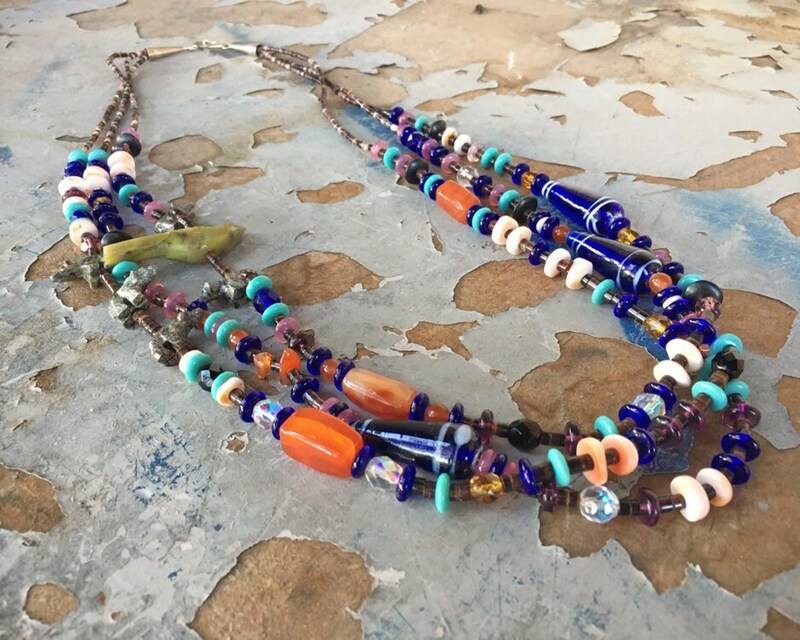 Whoever made this necklace has an artist's eye, as the three strands go together so well, with the colors alternating at different sections. 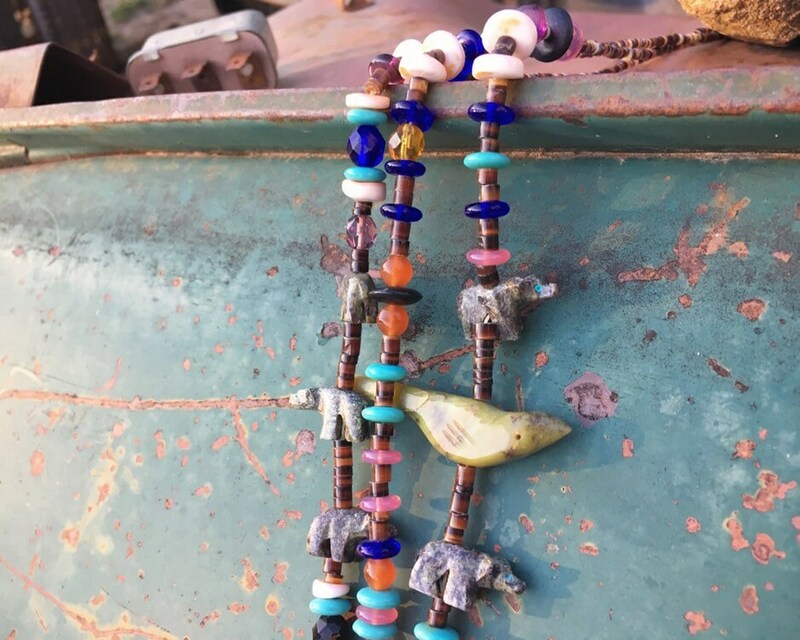 Larger glass beads, a serpentine bear fetish and other fetish bears, and small spiny oyster nuggets woven in. 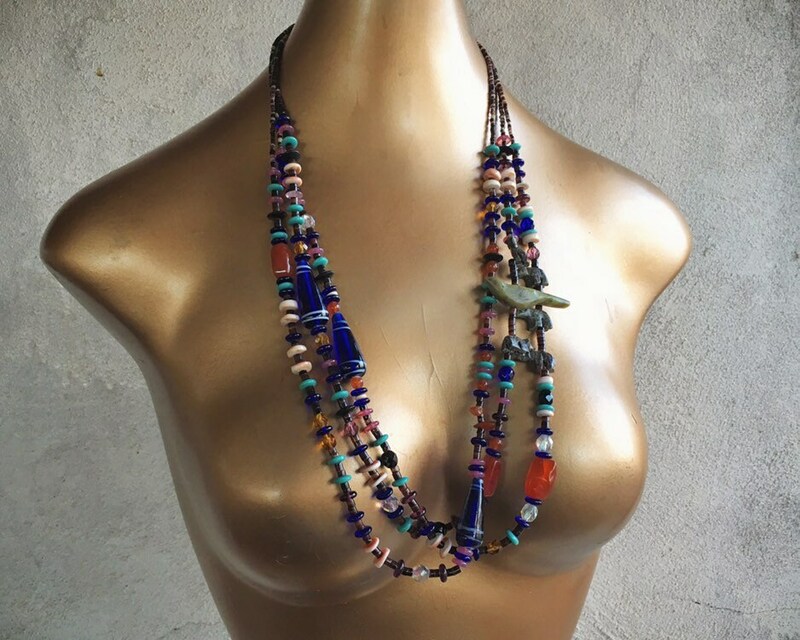 While this might not be Native American made, it is certainly Native style with the animal fetishes and pen shell heishi. 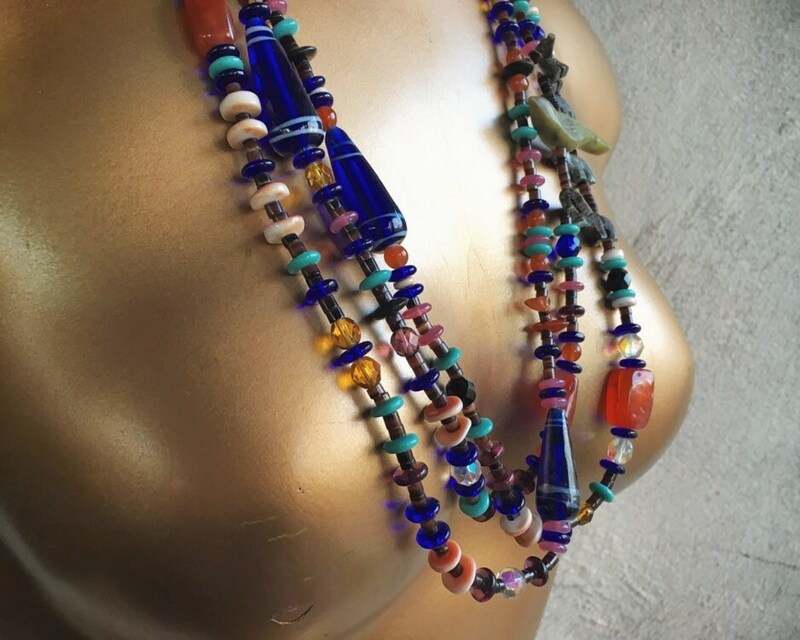 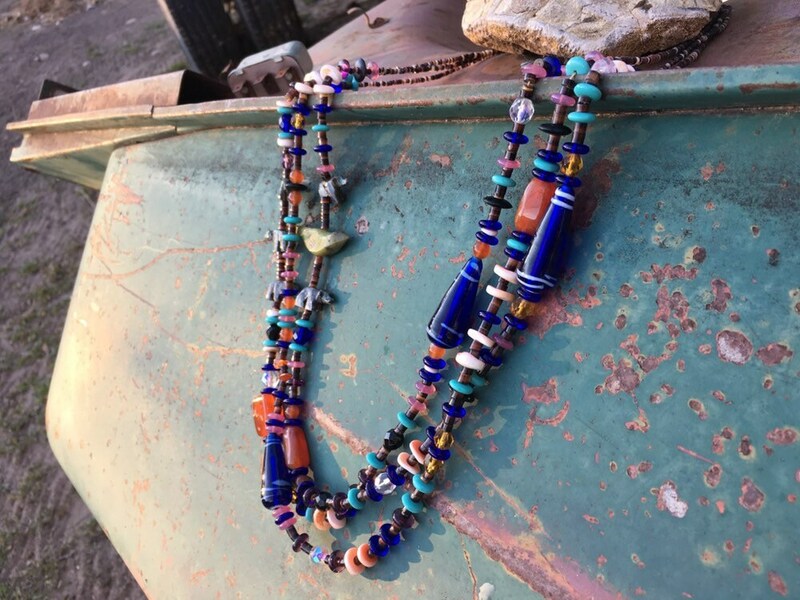 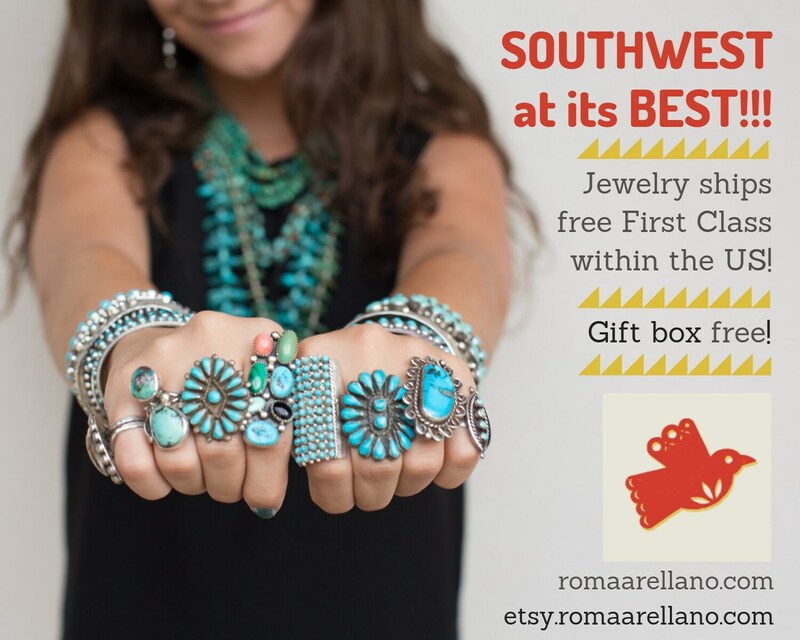 A wonderful Southwestern necklace with great presence, perfect for the boho hippie woman in your life. 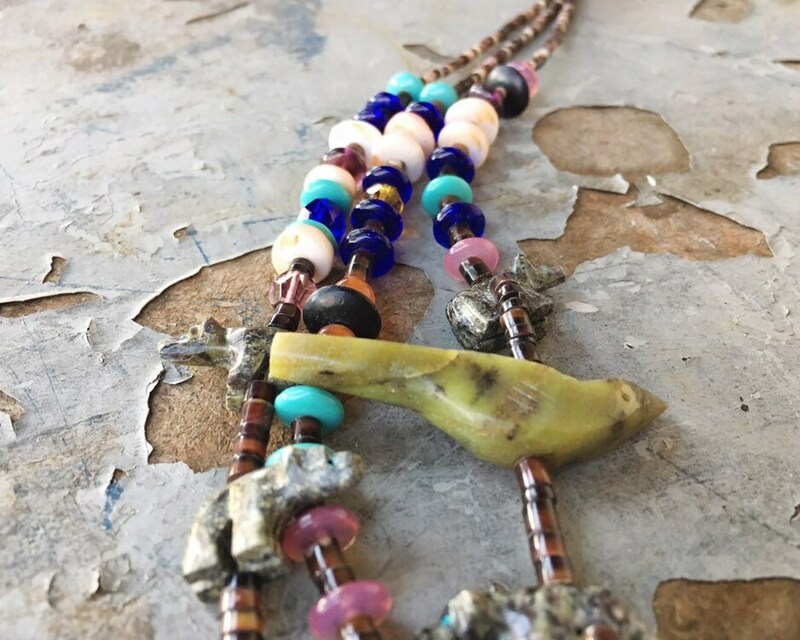 The necklace measures 29" long and slightly longer including hook and eye. 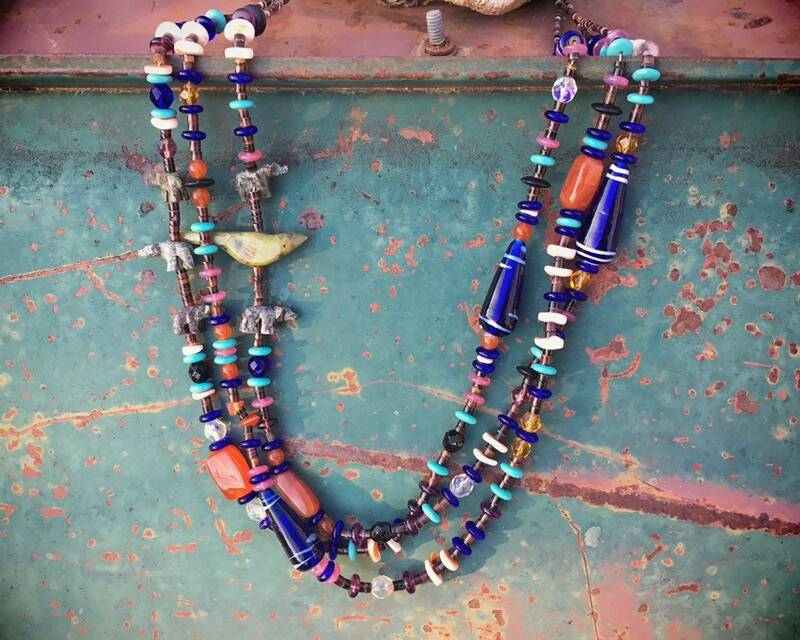 A style that is still in trend today.